Luang Prabang to Hanoi. I was impressed. The plane was modern seemingly brand new ATR. Food onboard was odd but nice and the crew efficient. Always a pleasure to fly in the turbo-prop ATR's. Cabin crew always polite interesting snacks on the Vientiane- Hanoi run and the particularly delightful and free Lao Beer. 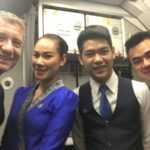 Sometimes a bit difficult to understand the accent of the flight crew. Great at check-in and immigration due to the small number of passengers carried on the aircraft certainly avoids the long waits experienced on the jets. 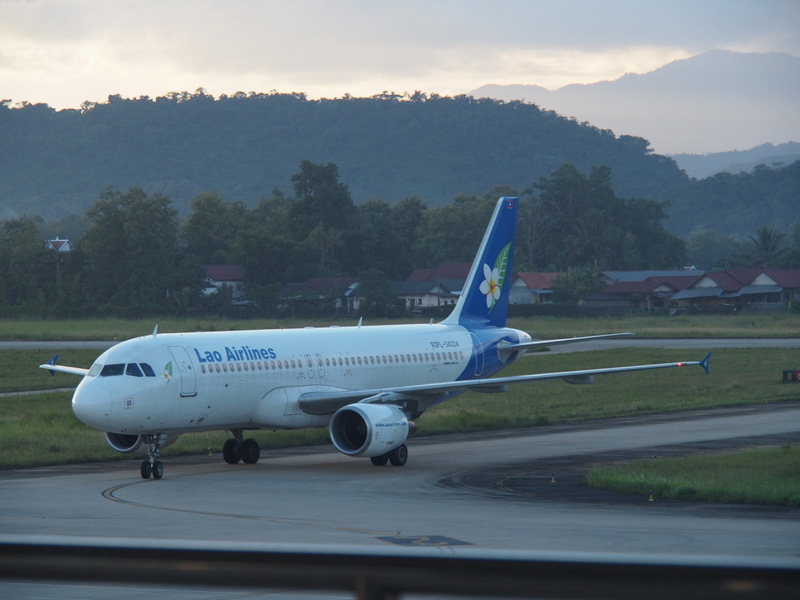 It's an interesting and most pleasant experience and I do not hesitate to recommend Laos Airlines to travellers on the short haul flights. 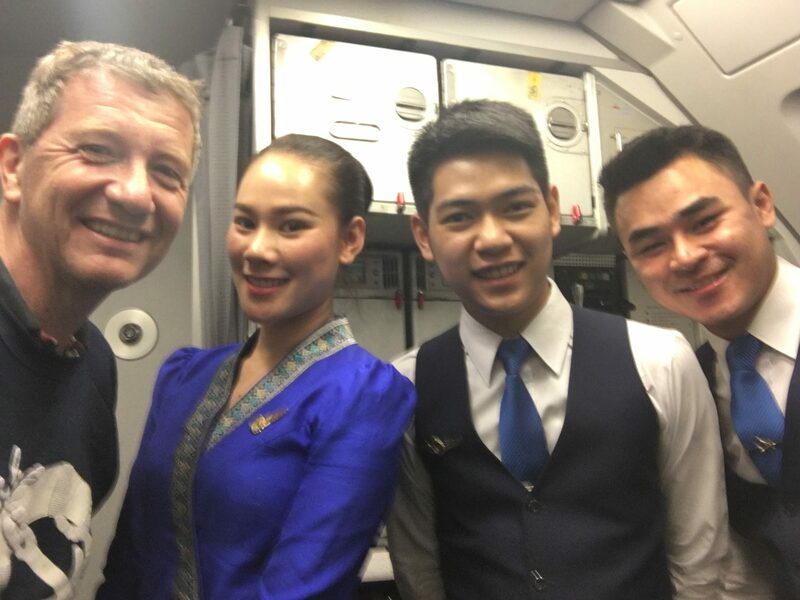 Definitely my favourite way to go between Laos and Vietnam and for domestic flights within Laos. 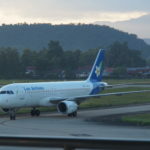 Luang Prabang-Chiang Mai. Brand new ATR very clean and comfortable. Served strange chicken roll cake and soft drink or beer. Quite hard to understand the cabin and flight crew sometimes but felt very safe and departed/arrived early. 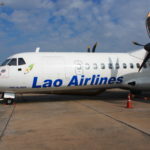 Flights pretty expensive considering length of flight and general Lao prices. Clean bright cabin Ho Chi Minh-Pakse. Going out we were served a box lunch coming back adequate snack box for early morning. Excellent service smooth check in and on schedule! I certainly would choose them over Vietnam Airlines. LPQ-BKK economy. Modern aircraft but beware be early on the morning-flight to BKK. We left half an hour early! They told us to be there two hours before the flight and they were right! Complementary meal on the flight is somewhat funny - not sure if it was made of real stuff. Flight attendant was beautifully dressed. Vientiane - Bangkok. The service was great modern ATR aircraft seats comfortable and flight was smooth. I received a complimentary meal and drink. Arrived little late. Would definitely fly again. Don't book on airline website very expensive compared to using ticket sellers in Thailand and Laos. Always compare first. Vientiane to Pakse and Pakse to Vientiane and onto Bangkok. Flights were on time clean friendly my luggage arrived with me. They are little prop planes. Vientiane to Chiang Mai - turbo prop plane very modern flight friendly staff - had a little snack - would fly again! Short flight HAN to LPQ. Sparkling ATR77 with charming and helpful attendants. A tasty snack served. 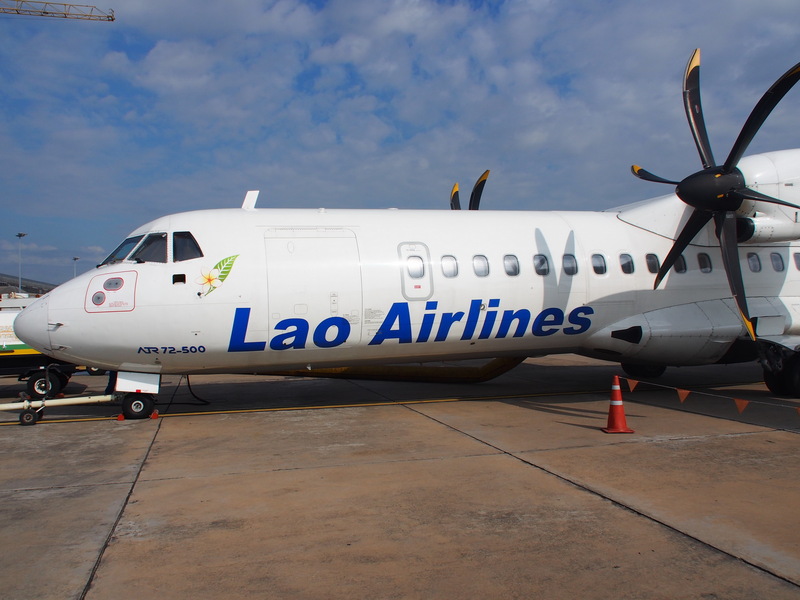 I have used Lao Airlines in three occasions (Luang Namtha – Vientiane; Vientiane – Pakse; Pakse – Siem Reap) and enjoyed flying with them. The airplanes are relatively small but the limited length of the flights avoids any discomfort. They are also clean and with a funny design. Hostesses and stewards are nice and food is ok.